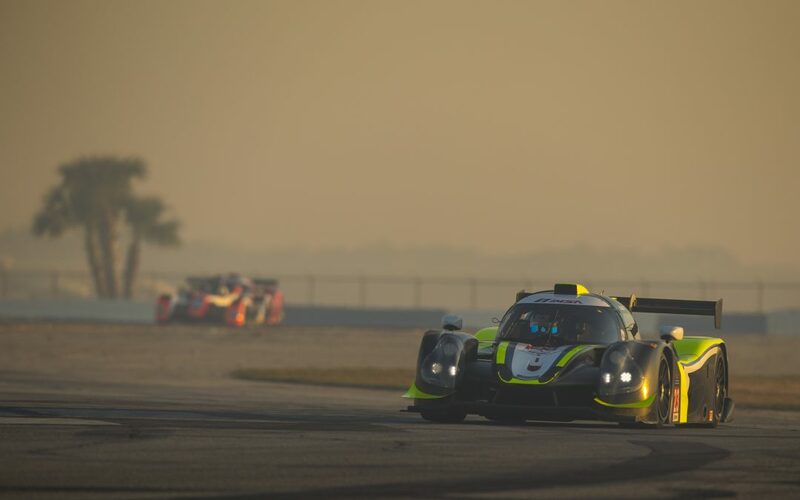 The weekend before the Sebring 12hr race I got a message about driving an LMP3 in the IMSA Prototype Challenge race with Gilbert Motorsports in their Ligier JSP3. The series and those cars have been on my radar for quite a while, so I was excited to join them. I knew we would be behind the development curve without any testing at a track like Sebring with all of the bumps, but it was mostly for fun. When I arrived at the track, I found out that I would end up co-driving with Shane Lewis, which was a pleasant surprise. While we didn’t have the engineering support to set up the car perfectly, it was a great challenge to get the most out of what we had with limited track time. Shane qualified the car, but was interrupted by a red flag during the session and didn’t get a great lap on the board. He started P12 and moved up quickly, running as high P5 during his stint. Unfortunately, we had an issue during our pit stop that lost us a lot of time and we were P16 when I rejoined the field. The car felt good initially, but quickly started to go off as our tire pressures were too high for the conditions. We also had an issue with the brake bias adjuster that left too much bias to the rear. Still, with the help of a late race restart we were able to avoid some carnage and survive for a P9 finish. These cars are great fun and it was a pleasure to meet the guys at Gilbert Motorsports. I look forward to joining the series again in the future. Be sure to check out the onboard footage!